It’s hard to believe Chevel Shepherd is just 16 years old. The Voice season 15 winner has proven she can command a nationally televised stage like a seasoned pro, perform country classics with the stirring twang of Loretta Lynn (her dream collaborator) and the magnetic presence of Dolly Parton (another inspiration of hers) and duet with music legends like it’s no big deal. It’s no wonder Shepherd was crowned champion during Tuesday night’s live show in a stiff finale. She’s the kind of young talent that comes along once in a decade. It also didn’t hurt to have a brilliant and effortlessly endearing coach on her side. Her coach, Kelly Clarkson, is currently enjoying a Voice winning streak — the singer came out victorious in season 14 thanks to contestant Brynn Cartelli’s win. So, what’s it like starting out a career with the help of an all-time great like Kelly Clarkson? 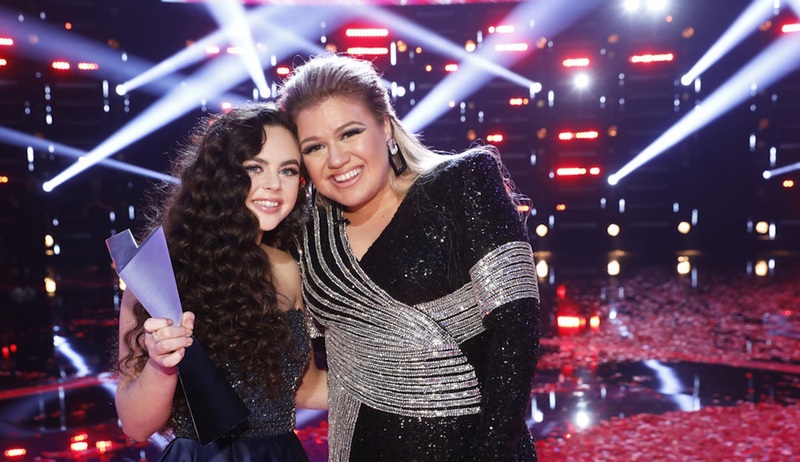 SheKnows got the chance to chat with Chevel Shepherd about her success, and as to be expected, she has nothing but glowing words to say about her coach. “I loved working with Kelly, and I just loved how open she is and how easy it was to be myself around her. What you see on TV is what you get,” she told SheKnows about Clarkson’s unwavering realness. “She always told me to be yourself and to have tons of fun and not worry about winning of losing, to just give it your best shot,” she added, when we asked about the best advice she received from the three-time Grammy winner. Shepherd, a New Mexico native, first caught the attention of the Voice judges’ ears when she belted out a knockout rendition of The Band Perry’s “If I Die Young” in her blind audition. Clarkson was the first to turn her chair. Shepherd has been through a whirlwind journey since that life-changing moment. “It’s been awesome. Not many teenagers get to sing with Dan + Shay and hang out with a whole bunch of celebrities, so it’s really cool,” she said of her Voice experience. Shepherd has been a fan of the NBC reality competition series that has now made her a household name since she was a little girl, and she cites its unique concept as the reason she decided to audition. “I just loved how different it was from other shows — they don’t base it on your looks or anything; they really listen to your voice,” she explained. Currently, the question on every viewer’s mind is, what will Shepherd do now that she’s taken The Voice by storm. The high school student is going to go home and take a little time off and then begin working on her album, which she hopes will be classic country. And when it comes to The Voice season 16, Shepherd is #TeamKelly all the way. Clarkson has signed on for the next installment alongside veteran coaches Blake Shelton and Adam Levine. John Legend will be joining the cast as the series rookie, but Shepherd doesn’t feel like she’s the right person to offer him any pointers. “John Legend is amazing, and I’m sure he’ll have a lot of fun. I really don’t have a lot of advice for him since I’ve never been a coach on the show,” she noted. “One day, hopefully,” she chimed in when we mentioned we would love to see her back as a mentor at some point. Shepherd is living proof that a dream can become an awe-inspiring reality. Her words of wisdom for young people hoping to follow their passions?